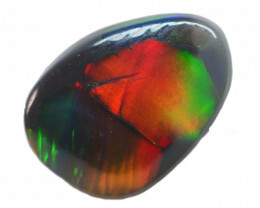 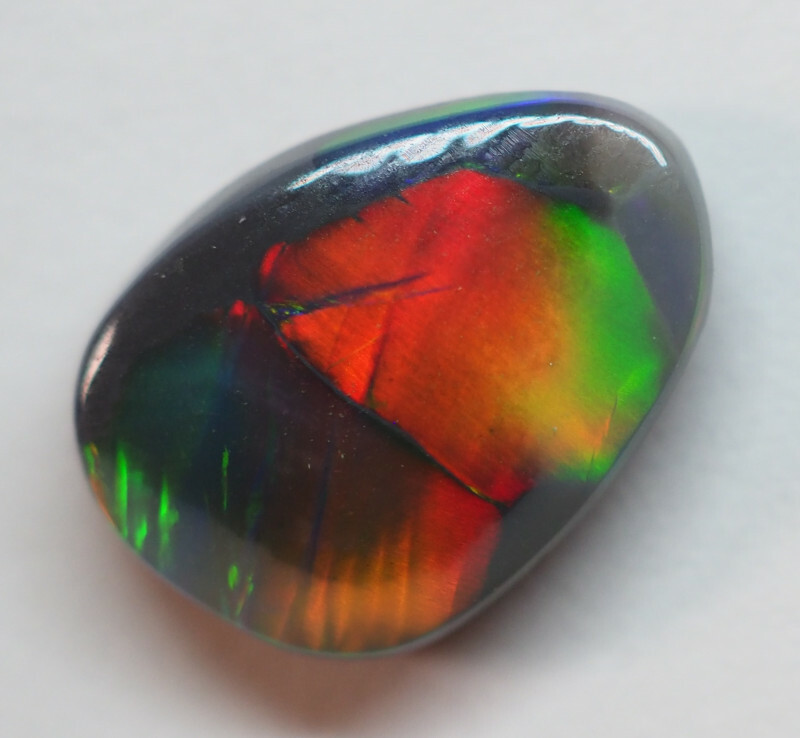 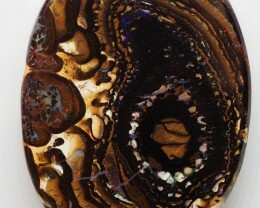 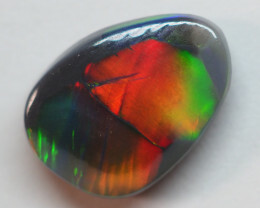 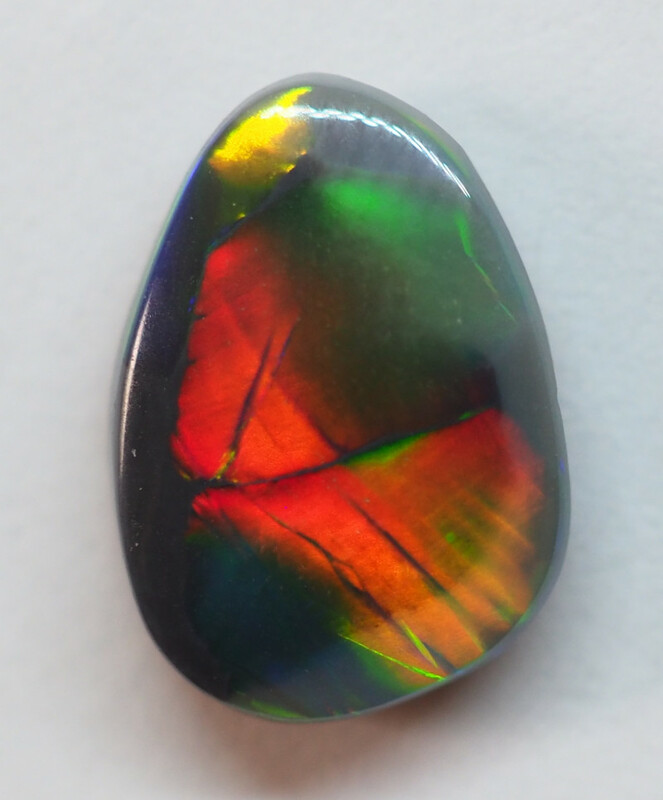 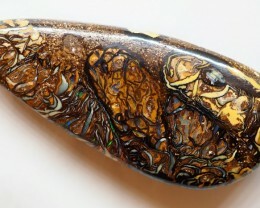 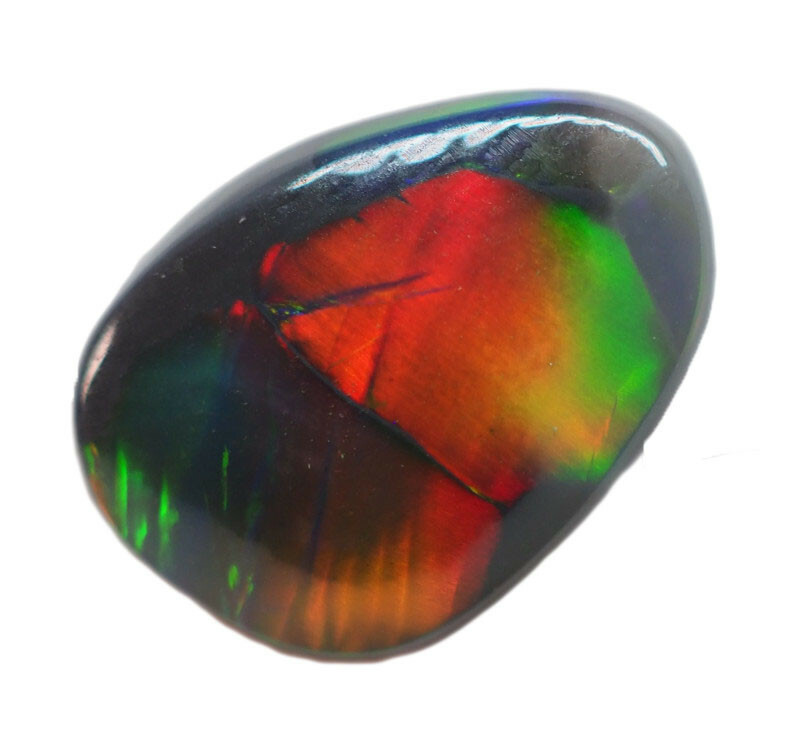 This range of magnificent patterns that the ridge is known for in a semi black opal. 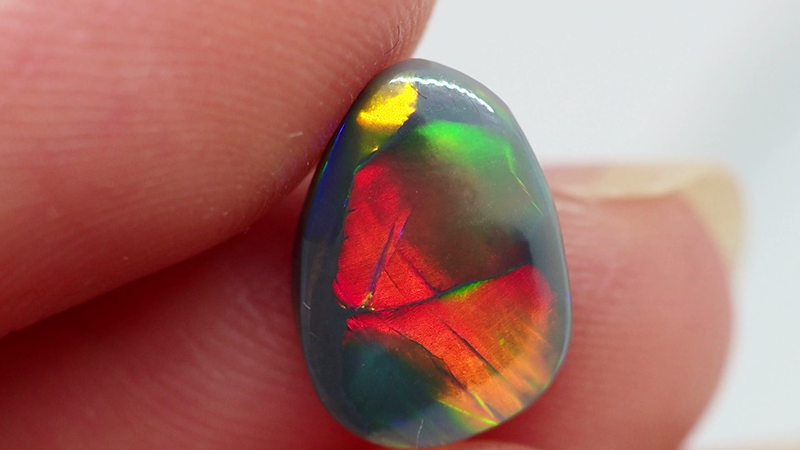 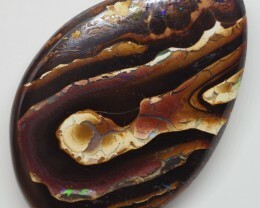 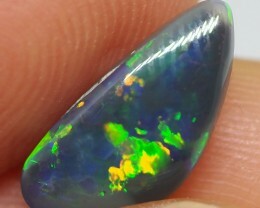 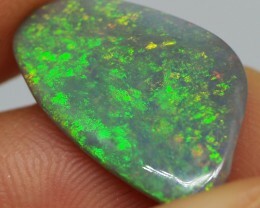 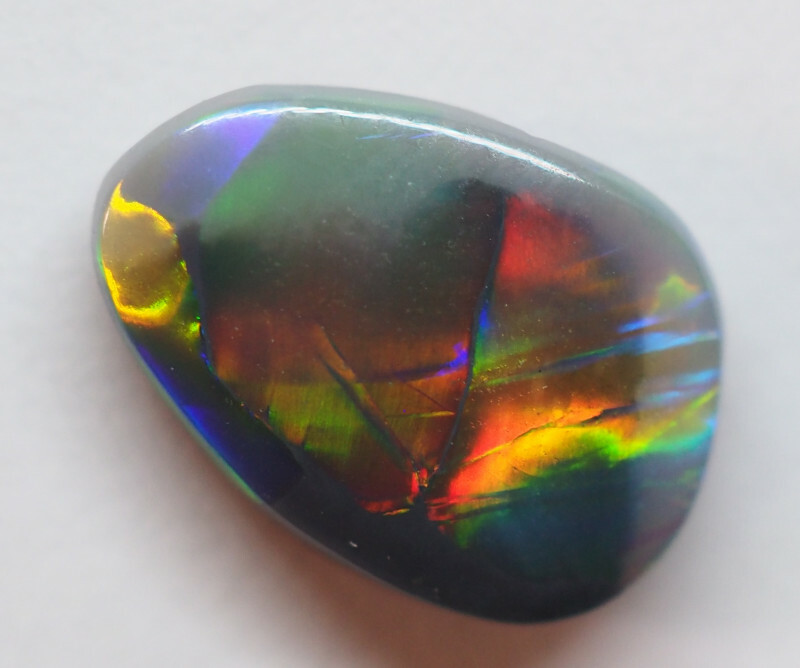 The opal mined can be seam opal but also Nobbys are found with incredible patterns and large percentage are cabochon so they make ideal flashy fire ring stones and represent good value. 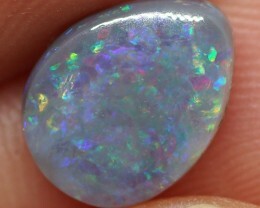 This is a natural stone mined in Lightning ridge. 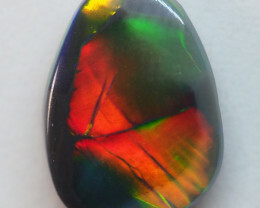 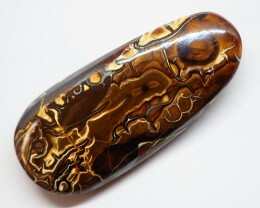 This stone is suited to a ring or pendant. 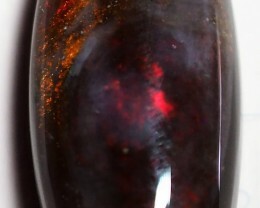 It is well polished and showing good fire . 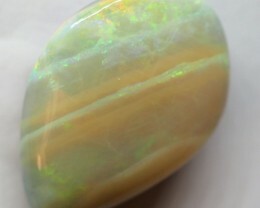 NOTE -unfortunately our camera picks up the mauve in the stone which the eye cant see so please consider this colour to be blue if in this stone.